By providing a safe environment with expert staff, children, who might otherwise fall behind or be subjected to the negative aspects of their environment, have access to a 21st Century Community Learning Center that improves the chances of millions of children to move into fulfilling positions in society. A centralized childcare management solution is a key component for making the most of your 21st Century Community Learning Center and the CCLC grants program. The 21st Century Community Learning Center initiative is the only federal funding source solely dedicated to supporting local before school, after-school, and summer learning programs. Reauthorized in 2015 as part of the Every Student Succeeds Act (ESSA), it provides funds to each state based on its share of Title I funding for low-income students. A 21st Century Community Learning Center provides summer, before school and after-school learning programs and opportunities across the United States. These programs are supported by CCLC grants that are awarded based on the ability of each center to meet the needs of family and community education priorities. Data from an array of government and private studies show the impact of learning centers on low-income communities and the families they serve. The U.S. Department of Education finds nearly half of students regularly attending a Community Learning Center improved their math and language arts grades, while almost two-thirds improved their homework completion and class participation. A study by Pierce, Auger and Vandel showed regular participation in afterschool programs helped narrow the achievement gap between high- and low-income students in math, improved academic and behavioral outcomes and reduced school absences. According to the Afterschool Alliance, eight in ten parents stated afterschool programs give them peace of mind and the ability to remain employed. The Afterschool Alliance also finds that thanks to CCLC grants and Community Learning Centers, seven million students have opportunities to explore STEM topics in afterschool programs. 21st Century Community Learning Centers are guided by local needs and supported by national grants and funding. There are eleven and a half million school-based and community centers nationwide supported by the initiative. The 21st CCLC initiative targets programs for students attending high-poverty, low-performing schools. Programs funded by the initiative support academic enrichment activities to help students meet local and state achievement standards by reinforcing and complementing the regular educational programs at the local schools. For 2019, $1.222 billion has been appropriated for the initiative and $1.1 billion authorized in the ESSA. Awards are made to State Education Agencies (SEAs). Local education agencies and nonprofit organizations may apply for subgrants from the SEA. SEAs manage statewide competitions and award grants to eligible entities, which are defined as a local education agency, a community-based organization, another public or private entity, or a consortium of two or more such agencies, entities, or organizations. Priority is given to applications jointly submitted by a local educational agency and a community-based organization or other public or private entity. Faith-based organizations are also eligible to participate as allowed and required by federal regulations. While any SEA may apply for grant funding, the 21st CCLC is committed to helping low-income families and communities. A centralized childcare management software solution leverages technology to automate and simplify data management and billing for your afterschool program or community learning center. 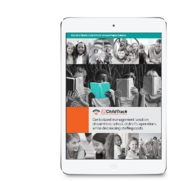 By reducing repetitive administrative tasks, consolidating record-keeping and streamlining operations, childcare management software saves time and money that can be used to increase your education offerings. Also, childcare software provides reports to support your grant application and help you make sound business decisions for the future of your program. The Afterschool Alliance finds that for every child in an afterschool program, two are waiting to get in. Fast and accurate access to supporting data showing the need in your community, and the ability to function efficiently to make the most of your grant dollars, can only help your learning center’s case to the State Education Agency for funding. Obtain complete records for each child with the completion of online forms by parents or staff at the time of registration and enrollment, saving printing costs and reducing data delivery errors. Show the need for additional space with reports combining daily attendance numbers and available classrooms to show the need for additional space. Automate billing and invoicing to eliminate lost statements and payments. Allow the system to keep track of late pickup and late payment fees to streamline your cash flow and collections. 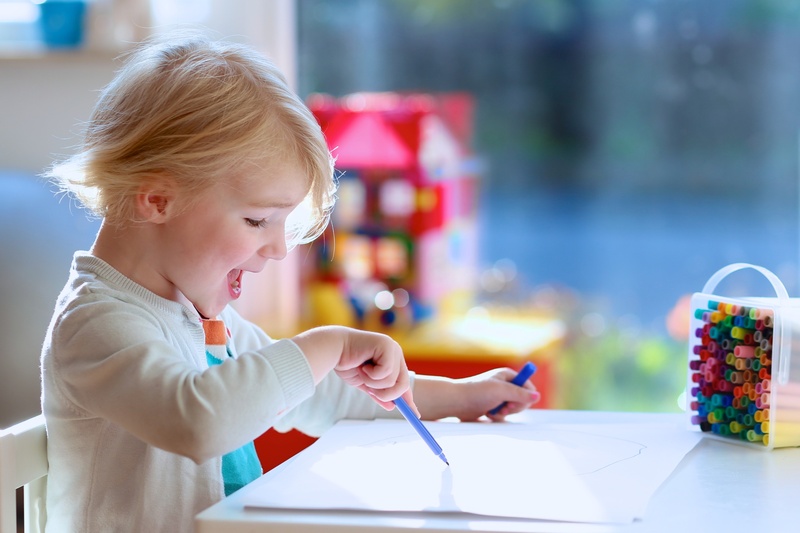 Use automation to track and apply subsidized payments from agencies that support low-income childcare as well as efficiently bill and collect from separate households. By improving your ability to bill and accept payments and show accurate records that illustrate the needs of your community learning center, you can improve the bottom line and make your case to the State Education Agency that the need for funds at your facility is real and growing. Automating billing and payment processing reduces your need to pay staff or a third party to send invoices, receive payment, and process payments. Childcare management software allows you to accept multiple methods of payment and process it without trips to the bank or additional administrative work. Beyond helping you with grant applications and billing, childcare management software solutions also help you make the most of the dollars you do receive. Optimize classroom use with a scheduling application so you won’t overlap, over-schedule, or overcrowd a room. You may also find space that is underutilized. Place the staff schedule online and provide access to your teachers and volunteers, so they know when and where they are needed. Create a repeating schedule to eliminate weekly or monthly scheduling tasks. Keep track of student records and data, and set the system to automatically notify you of immunization records that are about to expire. Provide tax documents to families via the software; you can print tax statements or make them available online through a secure parent portal. Provide calendar-based enrollment to maximize resources. You will know quickly whether you must cancel an activity, saving money on staffing and supplies, plus you have time to make other plans for the space. A centralized childcare management solution keeps your data secure yet allows easy access for reports, billing and payment, scheduling, and tracking attendance. Not only will you have information to support your funding requests, but you can also show your sponsors and school how the funds are allocated and spent. Childcare management software eliminates wasted time, data entry errors, and lost revenue while providing clear evidence that your organization requires and deserves more funding, and that you will use the funds wisely and responsibly to improve outcomes for your students and their families.